Home/From the Garden, From the Kitchen/Watermelon feast time! Versatile watermelon to celebrate summer! 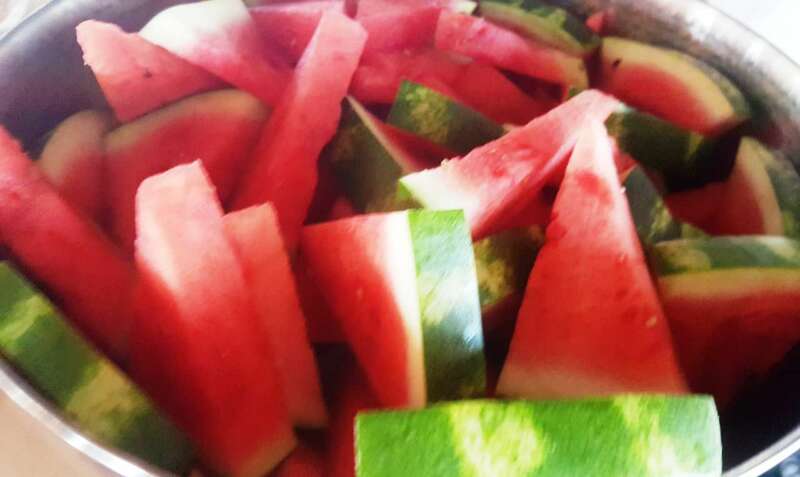 I always feel that summer is in full swing when there is an abundance of watermelons in the shops and markets! We buy mainly from supermarkets, especially when you can choose a quarter or half fruit. 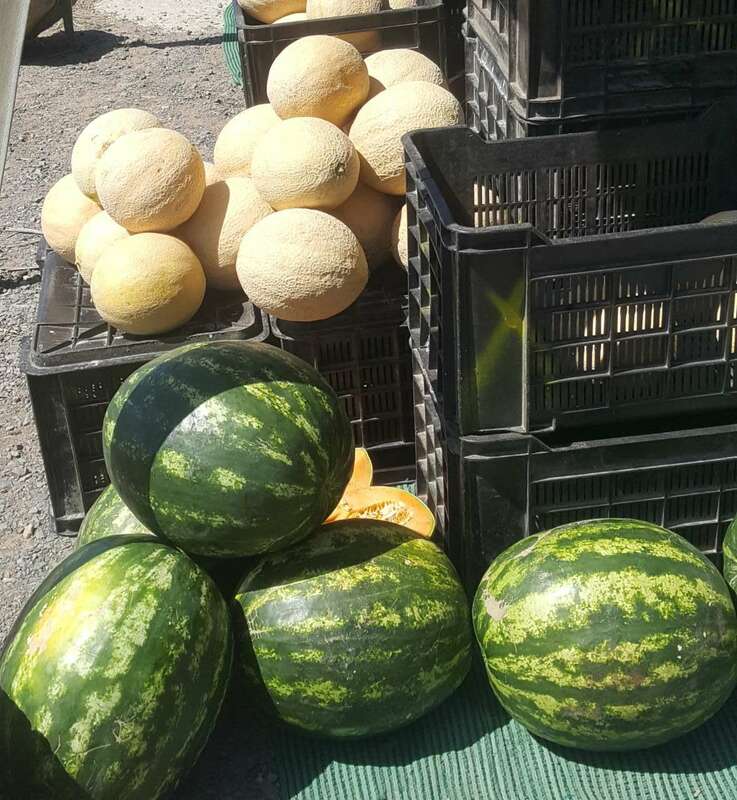 But when our local little market stall has melons directly from the farm we cannot resist them! When I was a kid at boarding school, a group used the crowd around a huge watermelon that was split open on the lawn and wedges were handed around to enjoy. Sticky, pink juice could freely flow down your arms and your cheeks. Once we finished our feast there was an inevitable rather messy watermelon ‘fight’ when kids smeared the pink remains on one another before we dived into the pool. 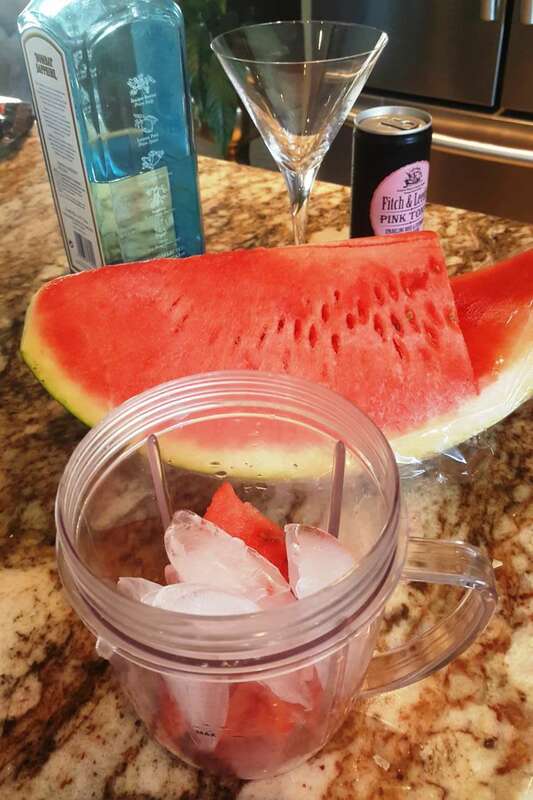 I must admit I prefer enjoying the watermelon in a more genteel manner as an adult. The melons from my youth were usually large and oval, had fairly thick skins and plenty of black pips. The newer varieties are smaller, thin skinned and either pip free or have very few, making it easier to slice and eat the fruit. A few years ago supermarkets sold yellow and orange fleshed watermelon. I must admit I could not get my head around this. Why mess with a fruit that has the most beautiful natural pink colour? It was always said to be ‘just water & sugar’ and a hint of fibre and a few vitamins, but nowadays dietitians are recognising more health benefits. Watermelon contains lycopene, a carotenoid which apparently plays a role in cancer prevention and cucurbitacin, a plant compound with antioxidant, anti-inflamatory and anti-cancer benefits. These two compounds didn’t ‘exist’ when I studied nutrition ‘back in the day’! As a kid we were warned that if we ate the seeds, they would grow from our ears! Now the seeds are roasted and enjoyed as a low calorie snack or blended into smoothies to add additional vitamins and minerals, so don’t pick them out before you blend the pulp. Watermelon skin (the white and green bits) is also pickled and used in salads. I must admit I have not been tempted yet as I think there are nicer things to pickle. Fruit that has this thick, tough skin, is used to make a sweet watermelon preserve. Well made preserve is crisp, sweet and syrupy and is often served as a sweet addition with cheese. Preserved ginger is often combined with it, making it more interesting. 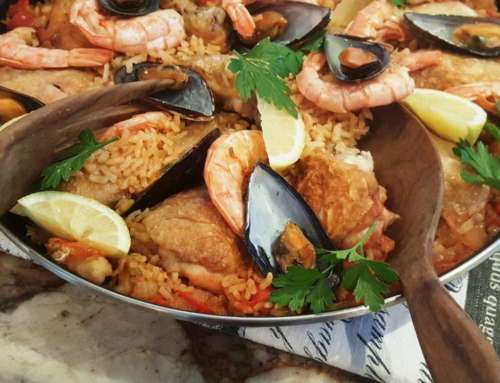 It is possibly a traditional South African recipe. But today I’m focusing on the fresh version! What excites me most is the total versatility of this fruit on the menu. 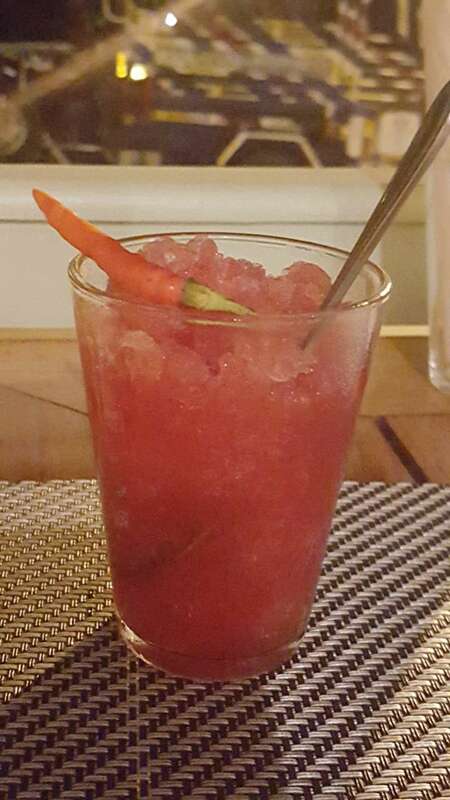 Watermelon cocktail laced with a hint of chilli! Photographed in a cafe in Laos. When you travel to South East Asia they have the knack of producing the most delicious watermelon drinks. Pure watermelon juice was a favourite for breakfast in sultry hot Northern Thailand and a chilli watermelon vodka cocktail was a treat in Laos. 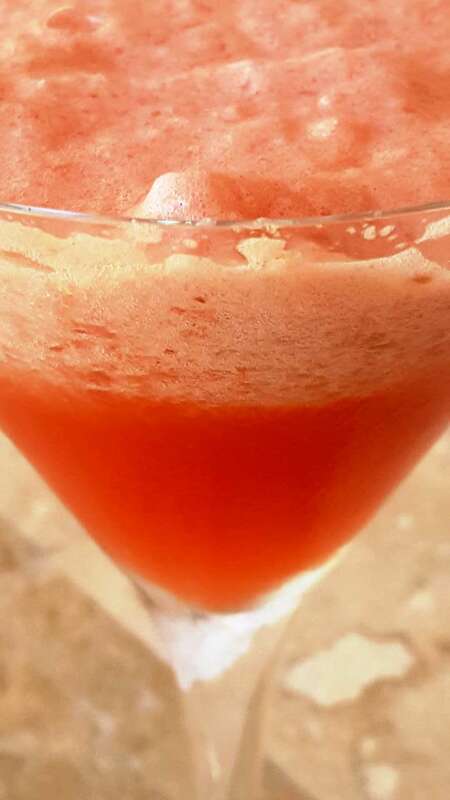 At home we are constantly experimenting with several deliciously decadent watermelon based cocktails. Watermelon also makes a delicious smoothie. 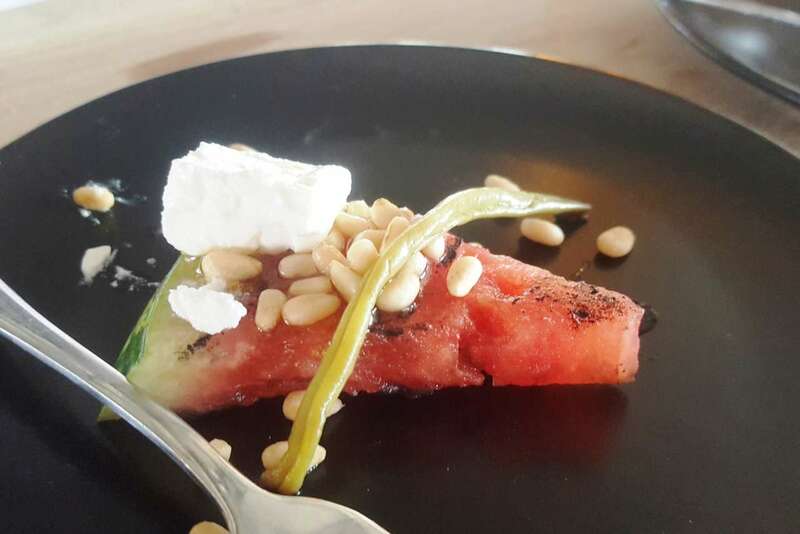 Last year, at a local function hosted by Jan Hendrick (of Michelin Star fame in Nice) we were treated to ‘char grilled watermelon’. 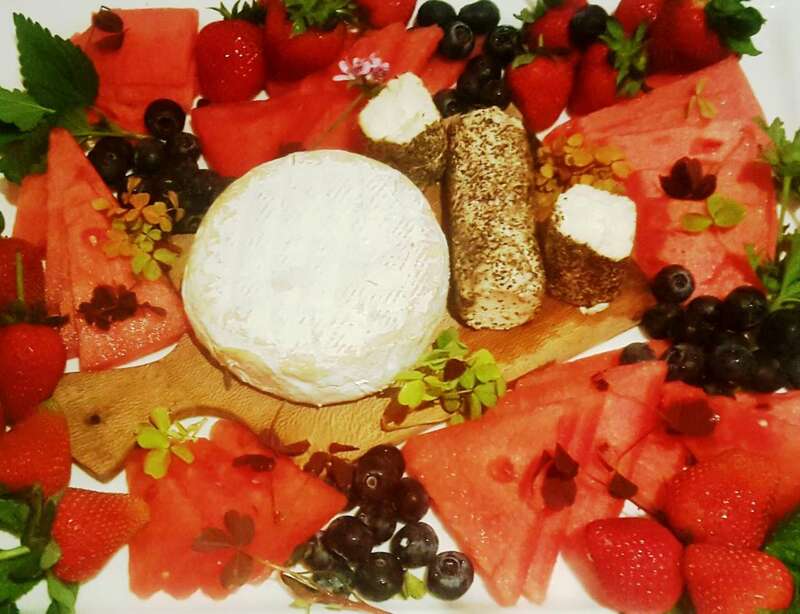 I decided to present a ‘pink and red hued cheese board’, with watermelon as the hero. It was a real show stopper! You should make at least one watermelon salad this summer…. 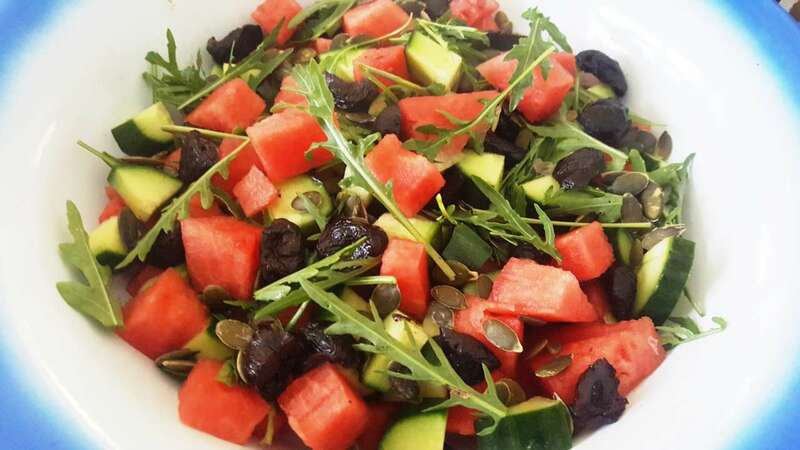 Watermelon salads have been popular for years now. 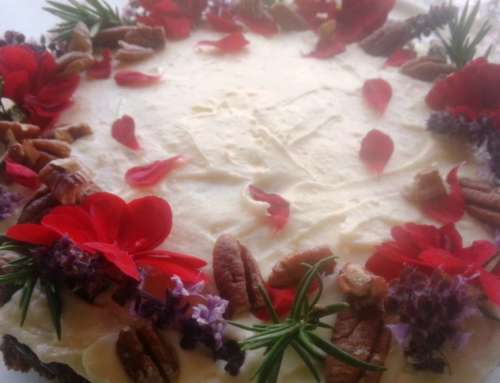 I have never made two the same as I am constantly ringing the changes and experimenting with flavour combinations. My favourite is combing spicy pepper flavours (milled peppercorns, rocket or chilli) as a contrast to the fresh sweetness of the melon. 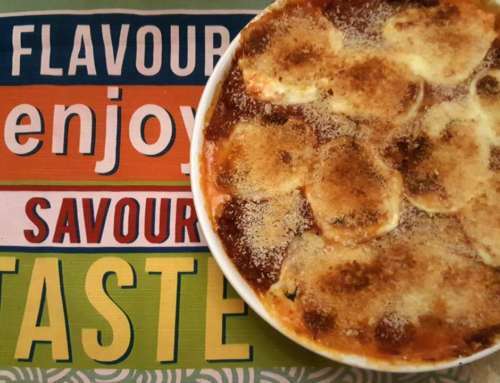 Mild cheeses such as feta or mozzarella (the soft, fresh mozzarella, not the rubbery ‘pizza’ style) work well. Goat cheese is amazing with fruit, especially watermelon. 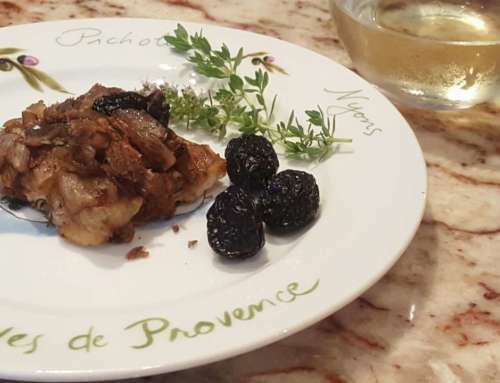 The dressing should be slightly tart and have a hint of sweetness, so I often use a balsamic style reduction. I also like the contrast of rich dark colour against the delicate pink melon. A few days ago I had not planned lunch and opened the fridge just as the Masterchef contestants approach a mystery box challenge. The result was a winner (no points for any intricate techniques though!) 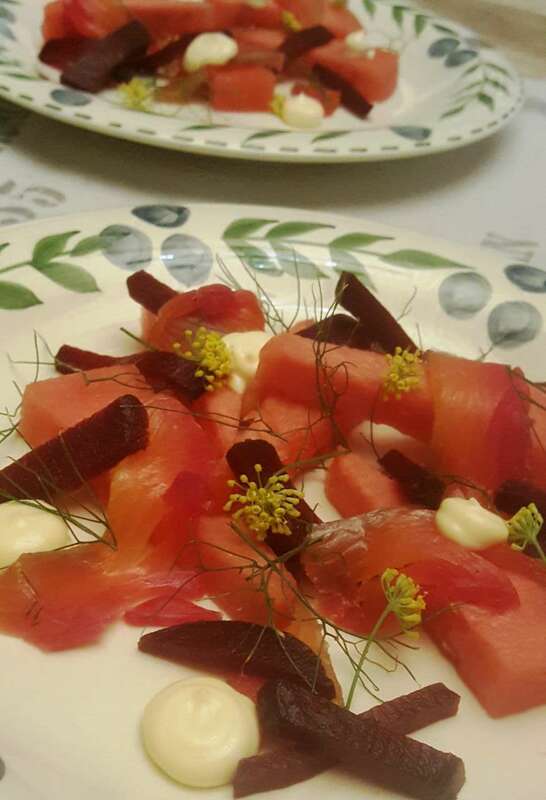 : watermelon, beetroot, rocket, gravlax and Japanese Kewpe Mayo! Watermelon was the hero and complemented the pink salmon both in flavour, colour and texture! Every summer I make a few batches of gravlax (click here for the gravlax recipe). 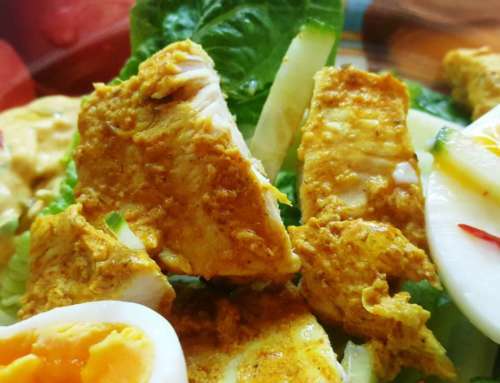 It has a long shelf life so is a quick ‘go to’ starter, snack or ideal for a light lunch or supper. The fresh watermelon was a perfect contrast to the rich salmon. Next week we are getting a bag of fresh oysters…… watch this space! Enjoy your watermelon this summer!